Leaf Tree Bungalows are located about 100 meters from the beach. They have many facilities like kitchen, fridge, drinking water, good internet. The garden is really beautiful and offers a lot of shade under bamboo trees. There are 2 small ponds with goldfishes in it. Very quiet place, no traffic noise, just nature. Recommended! Toto and his mama were the cutest! They are very accommodating and super sweet. Had bbq for a good price and also had motorbikes for us to rent. The location is a minute walk from freedom beach, which is the best beach! Super blue water. We got there earlier than Check in time and they cleaned the rooms right away for us. There’s also little huts outside where you can just hangout and chill. It's jut a short short walk to the beach. 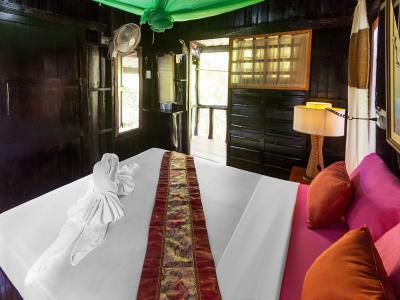 We had our own little bungalow with a queen and a bunk bed for 4 people. It is pretty rustic, but that adds to the charm. Perfect bungalows in a super nice yard. Adorable staff ❤ and best location at long beach! Would definitely visit again and strongly recommend!! It was a great atmosphere. Rustic as I stayed in the open dorm bungalow, but the bed was comfortable and the mozzie net was good. The view was good from balcony, felt close to nature! Not far from beach. 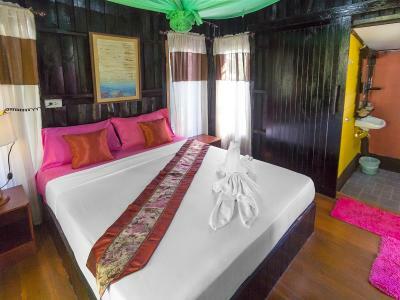 Location, authentic place, amazing beach, everything very cheap. Definitely the garden. 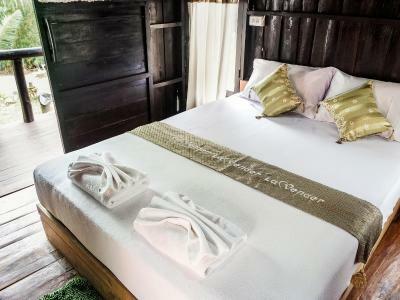 The bungalows surround the garden area which makes it private to the guests and very relaxing. Lot of places to sit and relax. Kitchen for guests available. Fans in bungalows were all working and mosquito nets had no holes. Beach was close (no street to cross). Great for solo travellers and families. Accomodation is as described: adventurous. We liked it! 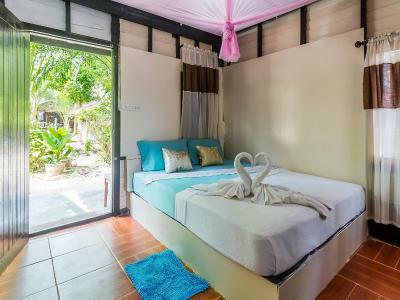 Leaf House Bungalow This rating is a reflection of how the property compares to the industry standard when it comes to price, facilities and services available. It's based on a self-evaluation by the property. Use this rating to help choose your stay! Offering an on-site restaurant, Leaf House provides accommodations with free Wi-Fi access in the apartment unit. There is free private parking available around the property. 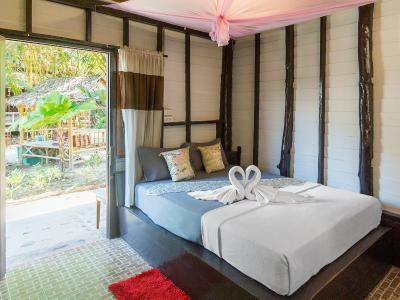 Located on Lanta Island, Leaf House is 1.6 mi from the beautiful Klong Dao Beach and 3.8 mi from Klong Nin Beach. Trang Airport is 41 mi away from the property. Promise a nonsmoking apartment, each unit is equipped with a mosquito net. Guests can enjoy sea view from some room. 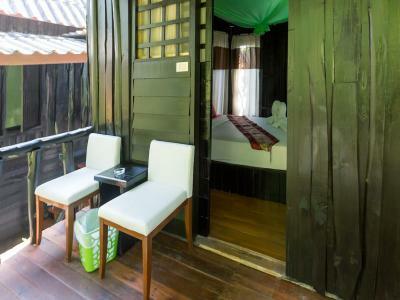 Convenient with a 24-hr front desk and a room service, Leaf House is nestled among gardens. There is a shared lounge for guests to relax while enjoy choosing their trips at tour and ticket service. Other activities such as bicycle can also be enjoyed from the property. 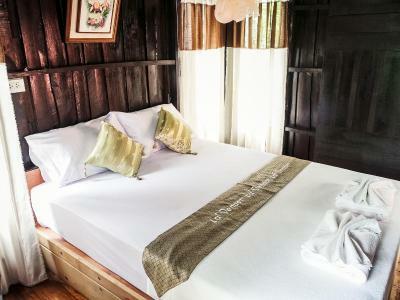 When would you like to stay at Leaf House Bungalow? Offering a nonsmoking unit, this bungalow has a private entrance and a seating area. 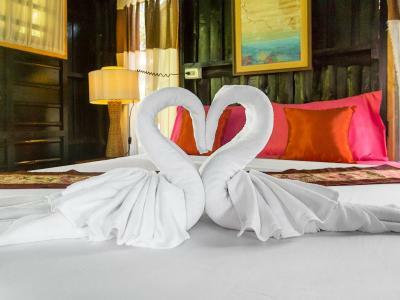 A private bathroom comes with a bath tub or a shower and free toiletries. Promise a nonsmoking unit, a bed in this dormitory has a private entrance. 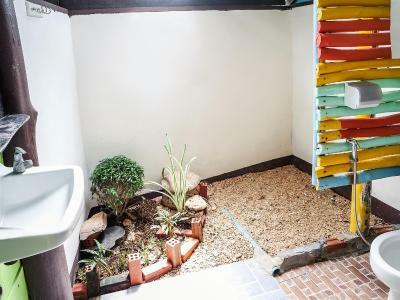 There is a shared bathroom in this unit. 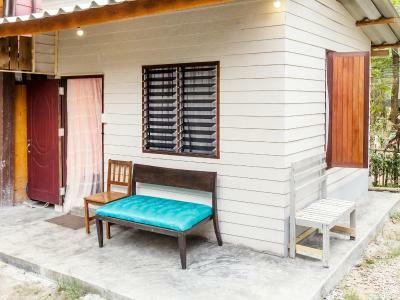 Located on the second floor, this bungalow features a balcony and a seating area. 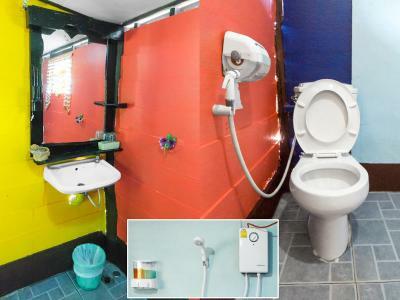 A private bathroom comes with a shower or a bath tub and free toiletries. 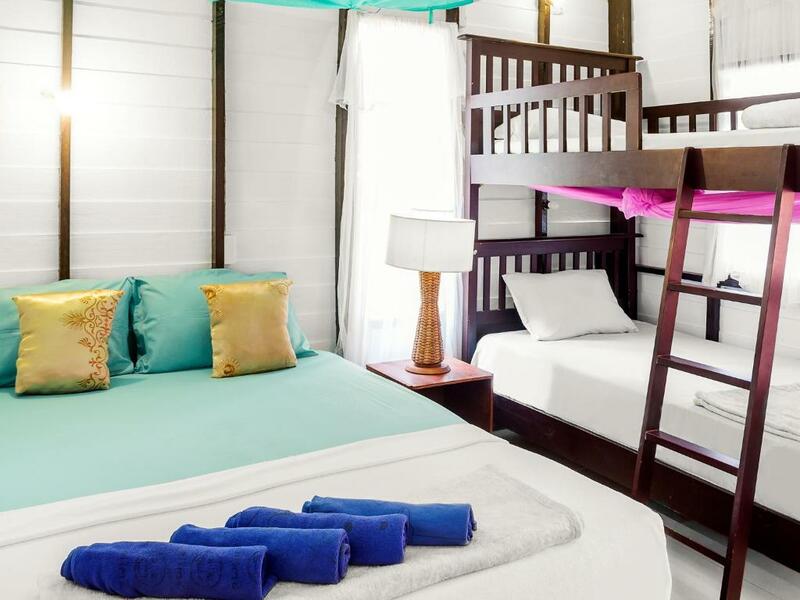 We are having 12 fan rooms, 1 family room for 4 adults, one bunk bed room for 2 people with shared bathroom, 2 hostel rooms with 11 beds and we are open all year around. House Rules Leaf House Bungalow takes special requests – add in the next step! A prepayment deposit via bank transfer is required to secure your reservation within 48 hours after the reservation made. The property will contact you after you book to provide any bank transfer instructions. Please inform Leaf House Bungalow of your expected arrival time in advance. You can use the Special Requests box when booking, or contact the property directly using the contact details in your confirmation. Very open, a little like a log house build and very inviting for nature! Proximity of nature - bugs in the bathroom. The staff spoke little English but they were very polite. Payment only cash. Fan noisy. Bed too hard. Mosquito and mouse at night. Rustic and close to the beach. There is little to no door so you can hear pretty much anything and anyone outside but it's fine if you are a good sleeper. It’s a rip off. If you value your money do not stay here. Rather come to the island in person and see other bungalows. There are plenty options with far much better facilities which are way more affordable than this rip off. If you value your comfort and responsible spending stay away from this property. Bedbugs and in another room the toilet paper was in animal excrement and cockroaches were running and in the beginning there was no room for me.